Distracted driving is any activity that diverts attention from driving, including talking or texting on your phone, eating and drinking, talking to people in your vehicle, adjusting the stereo, entertainment or navigation system—anything that takes your attention away from the task of safe driving. 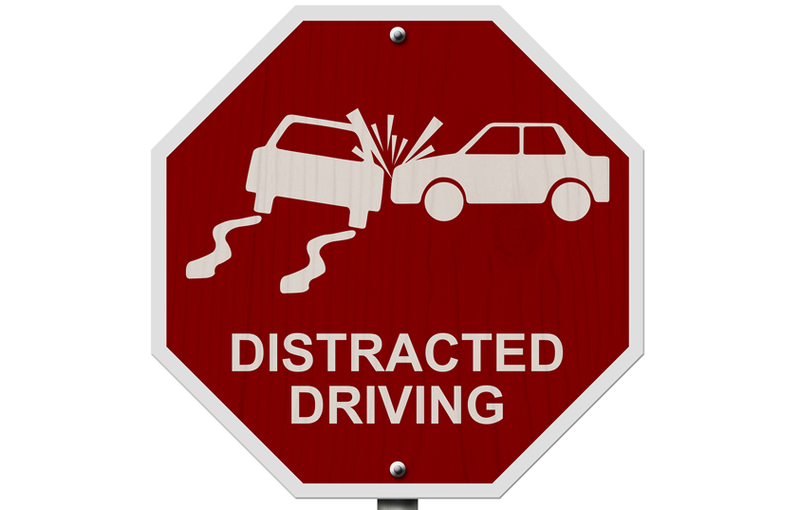 Distracted driving contributes to 1 in 5 automobile crashes. Cell phones were reported as factors for 1 out of 5 of distracted drivers in fatal crashes. Drivers take their eyes off the road 400% more when they are texting. Texting, whether sending or receiving, takes the driver’s eyes off the road for an average of 4.6 seconds. That’s the equivalent of driving 55 miles an hour the length of a football field blind. Using a cellphone, even while hands free, lowers a driver’s reaction time as much as driving drunk.